The British Columbia Institute of Technology (BCIT) – the post-secondary institution recognized for integrating education and industry – is announcing a partnership with Microsoft Corp. and its Technology Education and Literacy in Schools (TEALS) program to teach foundation computational skills for BC high-school students. This partnership recognizes the value of exposing young learners to the jobs of the future while equipping them with the appropriate knowledge and skills for success in the future tech workforce. 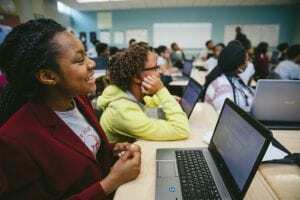 Microsoft TEALS exists because many high schools want to offer computer science courses but often don’t have teachers who are trained on the subject. 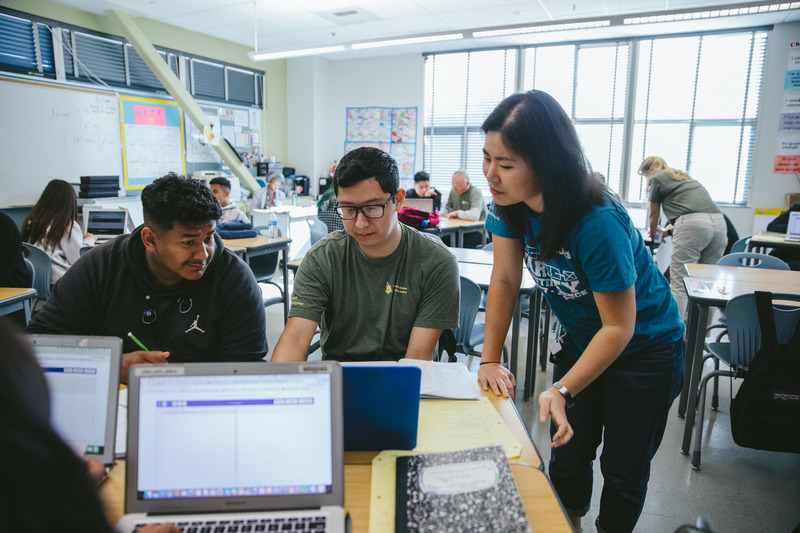 To fill this gap, TEALS volunteers work with classroom teachers to team-teach students, and to equip instructors with the knowledge to teach students on their own. With support from the BC Ministry of Education and BCIT, the BC branch of TEALS successfully launched in 2018 and has already educated more than 400 students across four BC high schools: Handsworth Secondary School, John Oliver Secondary School, Burnaby South Secondary School, and Killarney Secondary School. “BCIT has been instrumental in redesigning the TEALS curriculum to better align Canadian educational standards with local industry,” explained James Rout, BCIT Associate Vice-President, Education Support and Innovation. BCIT is also offering grants to participating BC schools to ensure all schools have the means to provide computer science training for classroom instructors. As well, program materials for students – from computers to textbooks – are provided. The future is now. From artificial intelligence personal assistants to self-driving cars, technology is disrupting nearly every workplace, and computer science skills are increasingly in demand. Technology is advancing so quickly that at least two-thirds of students entering elementary school today will be employed in jobs that currently do not exist. BCIT provides the largest number of computer science graduates across BC each year. This number is only expected to grow as BC’s technology sector sees an influx of job vacancies in coming years. For more information for interested schools, districts, and potential volunteers, please contact TEALS BC Regional Manager Erica Huang. James Rout, BCIT Associate Vice-President, Education Support and Innovation, is available for interview. Please contact Amy Chen to schedule. High-resolution photos of students participating in TEALS program available online. For more than 50 years, the British Columbia Institute of Technology (BCIT) has been training the experts, innovators, and professionals who shape our economy – across BC and around the world. With five campuses and over 50,000 students enrolled each year, BCIT is one of BC’s largest post-secondary institutes. Through our unique applied education model, students gain the technical skills, real-world experience, and problem-solving ability needed to embrace complexity and lead innovation in a rapidly changing workforce. The BCIT curriculum is developed through close consultation with industry and delivered by instructors who have direct, hands-on experience in their fields.